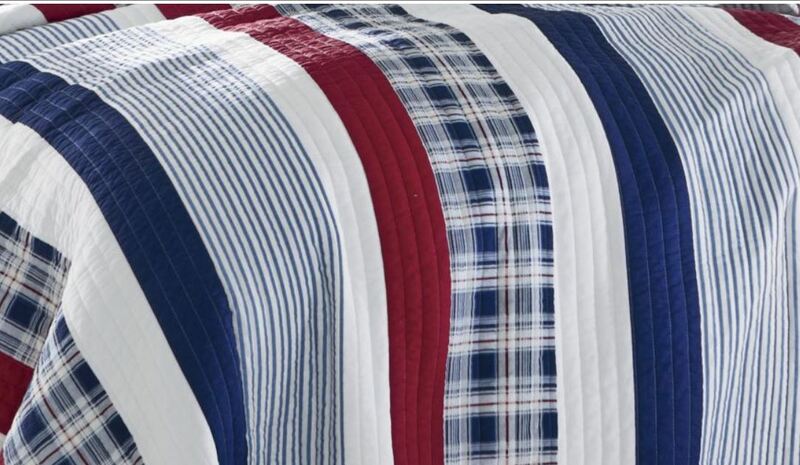 Americana nautical themed style with red, white & blue stripes, plaids and solids. Fabric-bound edges, and reverses to a matching plaid. 100% Cotton through-out.